Once again I have fledgling Cowbirds at my tray feeder waiting for their adoptive parent to feed them. The cowbird is on the right. 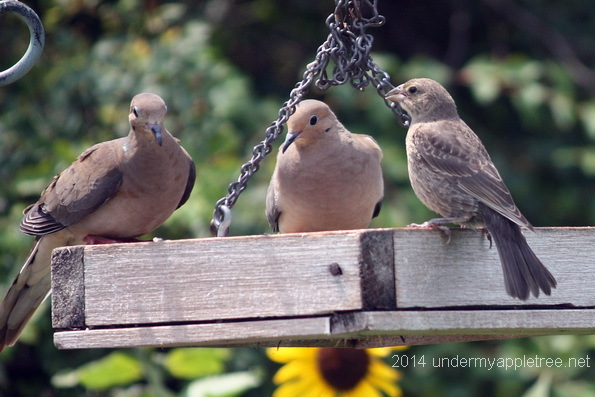 The Mourning Doves on the left were ignoring him and his sibling, who was out of camera range. It wasn’t long before a pair of Northern Cardinals showed up. As soon as the cowbird started begging, the male began to feed him. Why? Because cowbirds are brood parasites. They do not build their own nests or raise their young. The female will sneak into another species nest, drop in an egg or two, and let the other birds do all the work. Cowbirds are not fussy when they choose adoptive parents. Their eggs have been documented in the nests of over 200 species and about 145 of them have successfully raised a cowbird chick. 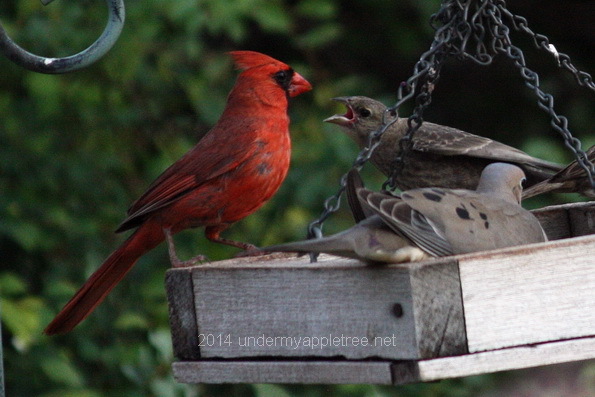 In my yard, the cardinals seem to be particularly susceptible to cowbird parasitism. This is the third year in a row I have seen cardinals caring for fledgling cowbirds. If this seems a familiar topic, I wrote more about cowbird behavior last year. Unfortunately I have not seen any young cardinals this season. With two cowbirds to feed and care for, it’s doubtful any cardinal eggs from this nest were successful. Cowbirds hatch sooner, grow faster, are larger, hungrier and out-compete the host’s nestlings for food. 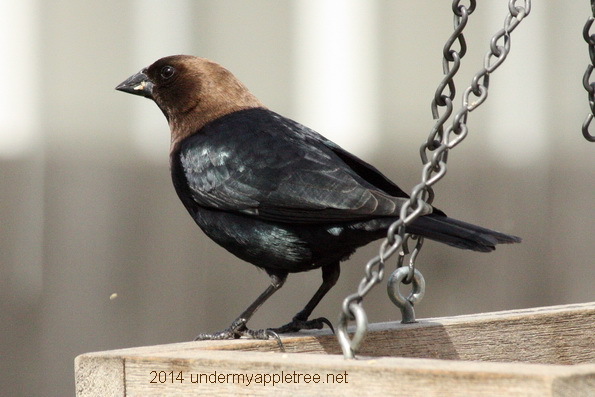 The adult cowbirds visit my feeders but don’t claim their young until all the hard work is done. That’s the male cowbird in the photo above. What I find amazing is that these young cowbirds do not imprint on their host. Somehow they know they are cowbirds and will develop their own song, social and breeding behavior. I have observed the male cowbirds rounding up groups of youngsters into the flock after nesting season has ended. Oh my goodness, I had no idea!! Lazy ol Cowbirds, I have a new found admiration for cardinals now. In my backyard the cowbirds pick on the tiny chipping sparrows. I wonder if the same cowbirds use the same host species each year, or if they just choose at random. That is so fascinating, and your pictures are delightful. I’m learning a lot about birds and bird behavior from your Saturday Snapshot posts. It’s such an amazing strategy the cowbirds use- and how incredible that they return to the cowbird fold when grown. The adult male cowbird is a glorious sight! I do feel sorry for your cardinals raising them though. How interesting! 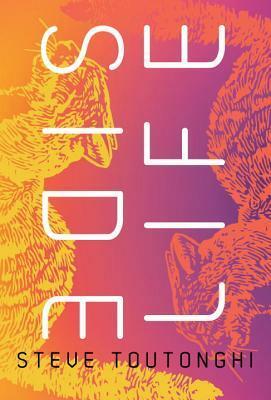 It seems some humans are patterning themselves after cowbirds, doesn’t it? Very interesting about their behaviour. I didn’t know that birds would care for other fledglings, except for the cuckoo I suppose. Thanks for such an informative and interesting post. Mother nature is indeed a curious thing! The last few days i seen a male cardinal feeding a bird that wasn’t a cardinal .. they are together everyday! 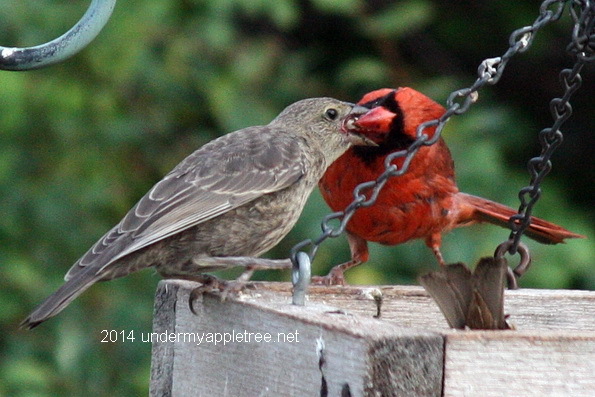 i looked up young cardinals and seen your page … yes it is feeding a young cowbird. How sweet! I am making sure goodies are there all day through the evening and fresh water . Just love my birds!